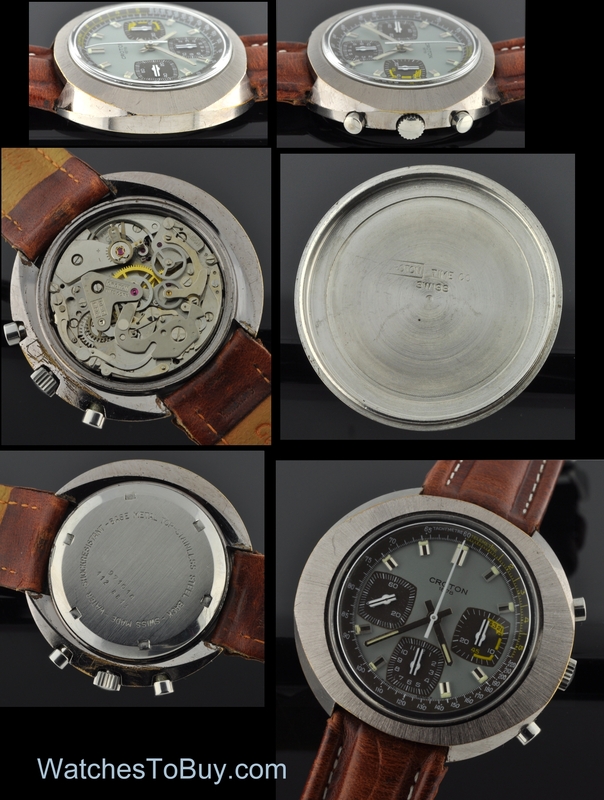 This is a very interesting, large (and funky chrome plated over metal Croton 3 register Valjoux movement measuring 39mm. top to bottom and 44.5mm. across. The case is sealed with a signed, screw back in stainless steel. There are some minor marks on the beze that barely appear visible-it looks great.! There are scratches on the underside, which are not visible with the naked eye. The manual winding Valjoux 7738 movement was recently cleaned and is accurately keeping time. The dial is quite interesting; being slate gray, with blue/green tones, yellow 5 minute countdown register in the 30 minute timing section and 12 hour counter at 6:00. 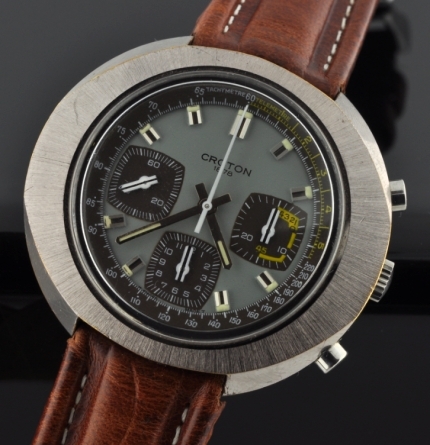 There is an outer telemeter scale, raised baton hands, white chrono hand with all chrono registers being quite eccentric in shape. This is a very interesting, large and cool watch that will attract many eyes! Just $995.